How many times have you heard someone tell you about their great new business idea? I bet that most of those times they’ll say things like “Nobody has ever done anything like this before!” or “This is an untapped niche!” as if that was the virtue that would lead to the ideas eventual success. It’s hard to look your friend in the eye and return their enthusiasm if you also realise the folly in these statements. You see, if nobody is doing anything similar .. it may be because your friend is a visionary with a truly unique idea or (more likely) the idea isn’t workable or profitable. The market is self regulating – good ideas float to the top, unprofitable ones disappear very quickly. If nobody else is doing it – it’s probably because it doesn’t work. “Wedding Dresses” = 368,000 Australian Google Searches every month. 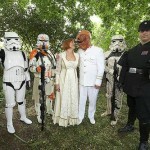 “Star Wars Wedding Dresses” = Less than 10 Australian Google Searches every month. So why would you limit your business by targeting a niche like “star wars wedding dresses” when even a small percentage of the generic greater industry “wedding dresses” would outpace the potential sales of the former? Why put so much effort into being great at a niche market, when you can be great at a broad market and have access to a greater demand for your products and services? 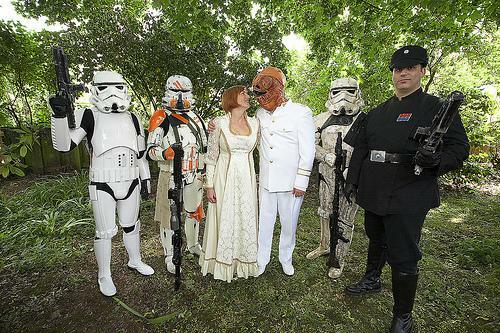 You don’t even have to sacrifice servicing the niche – a wedding dress vendor can still have a range of star wars wedding dresses in stock. Finding untapped niche markets is a good strategy if you think those niches will become mainstream one day. If they are dying markets or simply small that’s ok only if you don’t expect your business to grow.